Mandarins are very easy to grow, low-maintenance orchard items perfect for non-farm background people who are after farm management and lifestyle. Free range chicken eggs production combined with Mandarins orchard will give you unique eco-friendly competitiveness to the positioning of the business with relatively less risk. Carefully designed and developed by Prime Resources Management’s team, this farm package will give the owner beautiful farm business life along with generous return which will keep you enjoyable life time while increase capital gain for additional return years later, for your retirement. 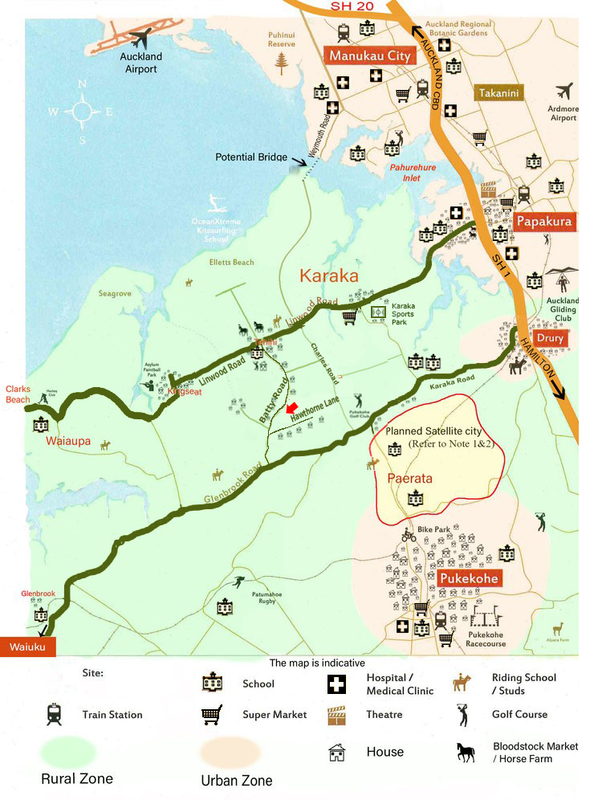 As indicted in the map below, 178 Batty Road Karaka is just close to Auckland CBD, international airport and proximity to several busy local city centres, Auckland is one of the fastest ever growing cities in the world, with potential expansion for urban area plan shift to the area. This beautiful farm features property with potential of growing to part of urban area will soon be gone from the market, which will give you very rare opportunity to grab now. New Zealanders believe life is for living. New Zealand was rated the 6th work-life balance country in HSBC’s 2017 Expat Explorer survey, and Auckland is the 3rd best city for quality of life, by Mercer’s Quality of Living Index. Auckland benefits residents by giving safe and secure family friendly environment. Regardless to mention the clean and beautiful nature, always-moderate temperature (average 20- 25 ˚C in summer, and 12-16 ˚C in winter), along with clear sky with rich sunlight will give the new comers very new feelings of beautiful clean nature. If the buyers are coming from overseas looking for investment with new lifestyle in New Zealand with safety, clean, green and pollution free environment, this property package with farm business at 178 Batty Road, Karaka will be the suitable choice for your new balance lifestyle in this new world. Investor 2 visa is for migrants who are seeking for NZD 3 million and over investments for settlement in New Zealand. you must have acquired your business experience as an owner or senior manager of a lawful business enterprise that had 5 or more full-time employees, or an annual turn-over of NZ $1 million. When we assess applications for Investor 2 Resident Visas, we only award points for recognised business experience. Exclusion: direct cost for farming including feeds, workers labour, maintenance and others. 6. All cost inclusive feeds, labour, maintenance and etc.